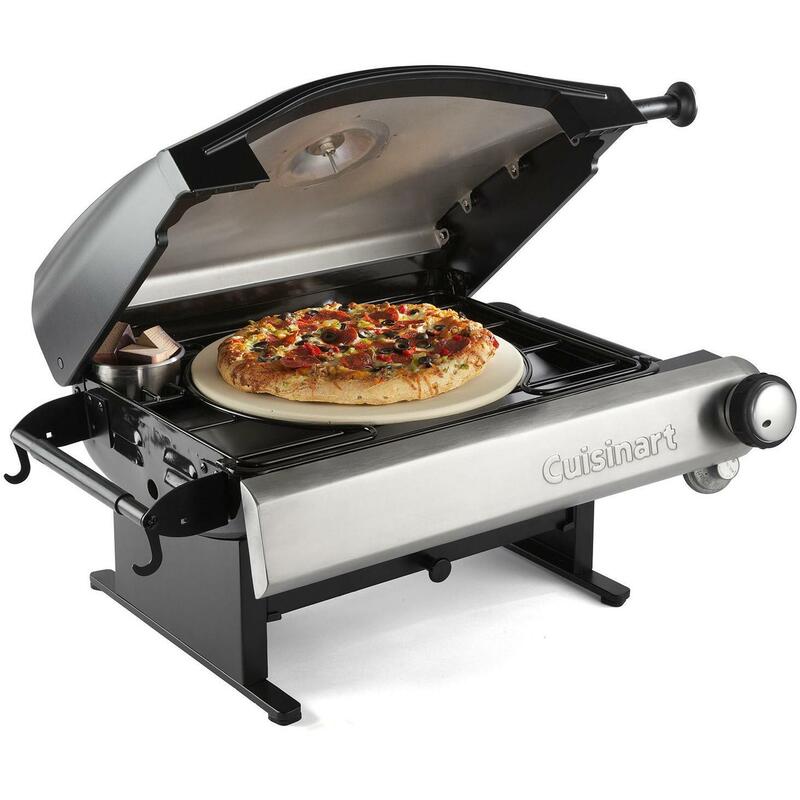 Product Description: Camp Chef Italia Artisan Portable Propane Gas Pizza Oven. 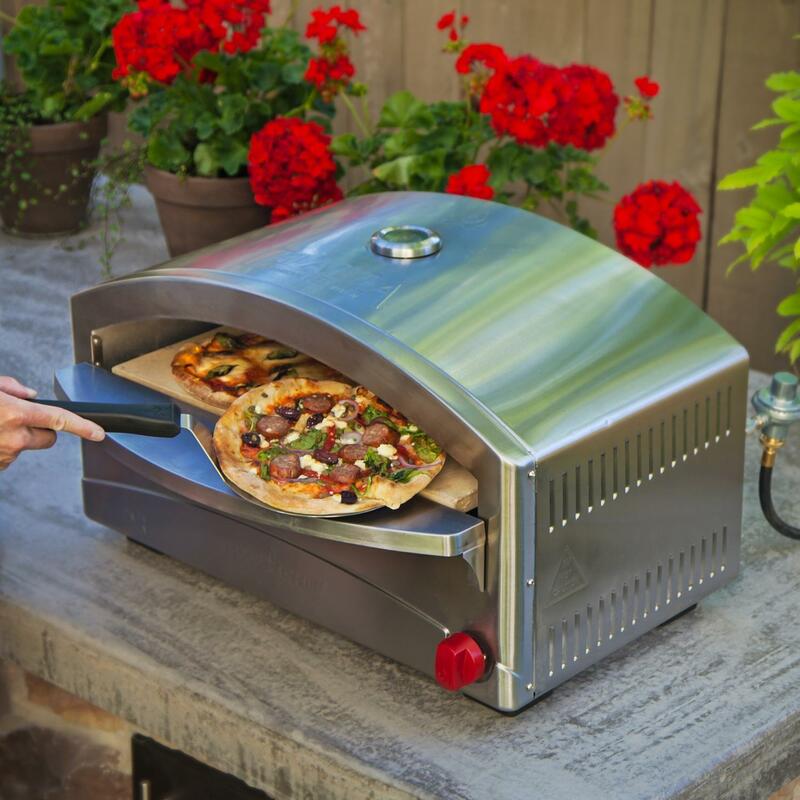 Add a taste of Italy to your outdoor cooking with this Camp Chef Italia Artisan portable pizza oven. This portable pizza oven is designed to replicate the performance of a wood-fired brick oven while providing the heat control and responsiveness to cook the perfect pizza every time. Featuring a specially designed 17,000 BTU gas burner and heat plates, you can reach temperatures of up to 750 degrees Fahrenheit. The double walled construction and ventilation enhances the heating performance of this oven while the built-in ignition and micro-adjustment valve give you complete flame control. Bake pizzas, breads and desserts on a 13 X 20 inch cordierite ceramic pizza stone and monitor cooking progress with the built-in temperture gauge. The oven preheats and is ready for cooking in 15 minutes. The ventilated oven door features a handle for easy opening and the oven is constructed from durable stainless steel which makes it easy to clean. The Italia Artisan pizza oven runs on a one pound disposable propane bottle or you can use the included regulator and five foot hose to connect to a standard propane tank. Great tasting food will always bring people together, and Camp Chef produces quality products that bring out the best in outdoor cooking.